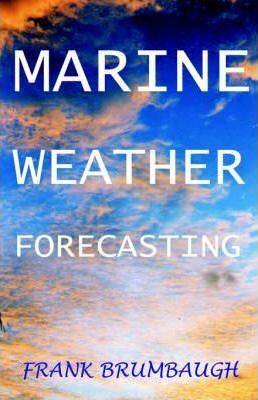 Understanding how global weather patterns influence local conditions will help you understand changes to your local climate and sea conditions. Stay safe and enjoy your time on the water. The day to day changes in the weather can seriously disrupt our boating, especially for those of us in the middle and high latitudes. Generally, when we talk about ‘weather’ we are referring to local conditions but these are the result of more general phenomena. The atmospheric conditions and weather patterns which cause these are more correctly referred to as ‘climate’. However, whatever term is used, it is the global weather patterns, with their longer term effects which cause the variations in out local conditions. These atmospheric patterns are generated by the difference between the temperature of the Polar Regions and tropical latitudes. As air warms it rises and colder air sinks. So very basically we have warmed air rising in the tropics and being replaced by the cold air coming from the poles. However, the water cycle and the Coriolis Effect also play a role in determining how the weather patterns develop. And we end up with the globe divided into latitudinal bands of weather patterns. Near the equator is the Intertropical Convergence Zone (ITCZ), or doldrums. Either side of that between latitudes of 10 and 20 degrees are the trade winds. Then the high-pressure zones of the horse latitudes lie roughly 30 degrees either side of the equator. Next are the temperate latitudes with their variable weather patterns. Much of the fluctuation in the climate cycles in these latitudes is caused by being between the high pressure horse latitudes and the low pressure zones beyond at 60 degrees from the equator. Then, beyond that, the poles are dominated by high pressure. Unfortunately those general trends mentioned above are subject to much modification. Even a small change to the atmosphere in one place can grow large enough to affect other areas. The old saying about the beat of a butterfly’s wing on one side of the glob affecting the weather on the other side is, to an extent true. The general pattern of convection, causes lower air to flow towards the equator while that in higher layers (jet stream) flows towards the poles is also affected by air pressure, humidity, clouds, and rainfall. Water vapor makes up a large proportion of the atmosphere. As a result the water cycle has a significant effect on the weather patterns. Clouds insulate the earth’s surface from the sun, helping to regulate ocean temperatures. As we all know, the clouds are formed by water vapor evaporating from the surface of the ocean and the warmer the air the more moisture it can contain. However, this evaporation also cools the surface water and as the water condenses into cloud or mist the air is cooled. Also, as the air rises the atmospheric pressure falls allowing it to expand and cool as the clouds are formed. As the temperature and moisture and pressure alters between one place and another winds are generated. On a weather map the pressures are shown by isobars, the closer they are together the greater the pressure gradient, and the stronger the winds. And in their turn the winds accelerate the rate at which all these modifying influences move across the surface. Tropical storms resulting from rapid changes in the tropics can accelerate and cause dramatic weather effects over huge areas of the globe. Local topography will also have an affect on conditions. The land heats up and cools down more quickly than the sea, so during the day air rises over the warm land and is replaced by cooler air flowing in from the sea. And where the coast rises the moist onshore winds are forced upwards, the water vapor then condenses to form a line of cloud along the coast. The global effects we have looked at so far are north south (longitudinal) effects. However, these are then affected by the Earth's rotation. This is known as the Coriolis Effect. This Coriolis Effect or force is the apparent deflection of the atmosphere as viewed from the rotating earth's surface. As the earth spins on its axis, we who are stuck to its surface go with it, the atmosphere however isn’t so well stuck to the surface so it lags behind. However the atmosphere isn’t completely independent of the earth, it is also affected by gravity and friction, more so in the lower layers. The result is that the latitudinal air movement begins to be rotated as the Coriolis Effect comes into play. And this is how those typical circulating weather patterns are formed and why they appear to be deflected eastwards. The global circulation is basically the same in both hemispheres, however there are differences due to the different distribution of land and sea, the greater amount of land mass in the northern hemisphere being yet another influencing factor. These circulating weather systems appear mature and decay constantly around the globe. And our weather is largely controlled by these systems. Low pressure systems are cyclonic in the northern hemisphere, the winds swirling around the system in a counter clockwise direction while in the southern hemisphere they move clockwise. 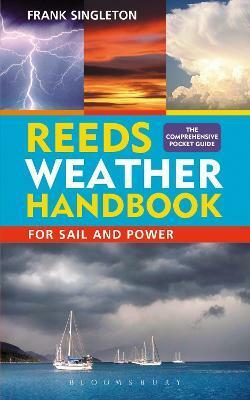 They are often associated with powerful storms and tropical cyclones and tornadoes. They generally form when the air becomes less dense as a result of heating. High pressure systems often occur when rising warn air rises, spreads out and when the air cools and sinks back down to the ground. They are associated with clear, cool weather with the winds flowing clockwise around them in the northern hemisphere, counter clockwise in the southern hemisphere. As these systems apparently track eastwards they bring distinct changes in weather conditions. Fronts are the boundaries between air masses. Masses of different temperatures, rather than mixing tend to move, either up and over or below each other. The boundaries between different air masses within a depression can either be warm fronts or cold fronts depending on which of the air masses is advancing. Generally, cooler air will push under warmer air forcing it upwards and increasing the pressure gradient. A typical cold front will have a steep pressure gradient with cloud formations, ranging from high-level cirrus to lower cirrocumulus and altocumulus, then down to lower-level stratocumulus. These clouds tend to bring heavy rain as the cold front passes and in the northern hemisphere the wind will veer because the of the front between the air masses is steeper. A warm front will have a shallow pressure gradient with warm moist air above the colder air mass. These generally bring light rain followed by prolonged damp weather. Occluded fronts occur when cold and warm fronts catch up with each other. When a cold front rises over a warm front it causes a warm occlusion. If a warm front is forced up by a cold front a cold occlusion is the result. This has been a very cursory introduction to how weather patterns influence local conditions. 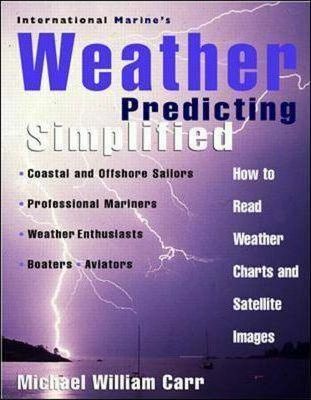 Hopefully it will help you understand how those weather patterns move across the globe and how to interpret synoptic weather charts.